I had every intention of revisiting my Ropa Vieja recipe, complete with pictures and tales of Cuban hole-in-the-wall joints that serve the best food in Florida. But then lunch happened. I am now in a meat-coma, and cannot even bring myself to write about a carnivorous meal. I feel a detox is in order! I have a go-to favorite dinner that takes precisely almost no time, is healthy, and tastes like heaven. So why the heck haven’t I shared this with you before? Good question. I have no answer. I think it may be because it is, in fact, so easy to make that I thought it is not good enough for a blog post. But then, when I think about the recipes I look for, I always want something easy and customizable. And like all of my recipes, this one is highly customizable! A couple of words about cheese before I give you the recipe. I am seriously becoming a cheese snob. Quality makes a HUGE difference in this arena. Sure, certain ingredients are perfectly fine to go with a generic, but with cheese, generics just don’t cut it (get it…cut the cheese…see what I did there?). 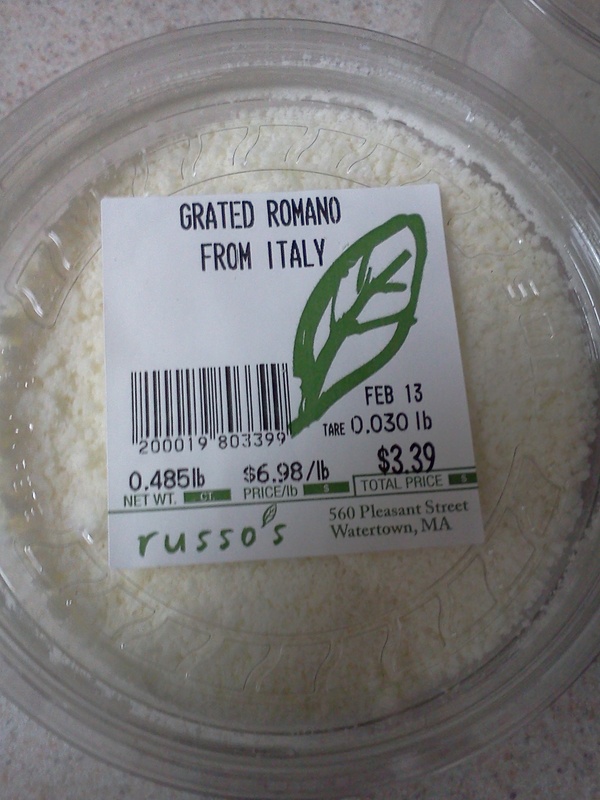 My 2 favorite cheeses to cook with, of late, are both found at Russo’s. 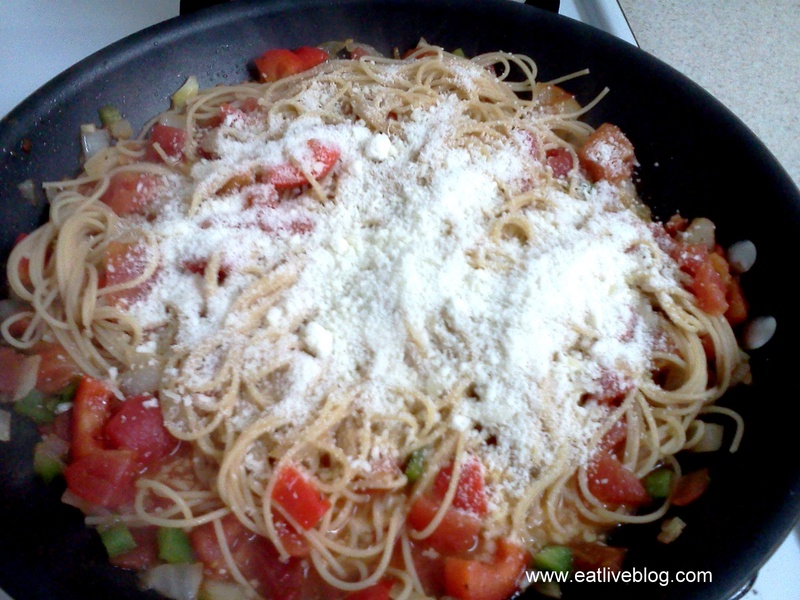 The first is an imported grated romano. 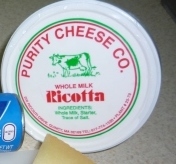 The second is locally produced Purity Cheese Co. Ricotta. And I would like to point out that even though both of these cheeses are high quality cheeses, they are still extremely affordable (the ricotta is under $3 and the romano just over). That is why it is SO important to research your products and local shopping resources! I haven’t bought a mass market brand since I discovered these. OK, off my high horse and on to the recipe! Don’t forget to enter to win Pepperidge Farm Deli Flats! 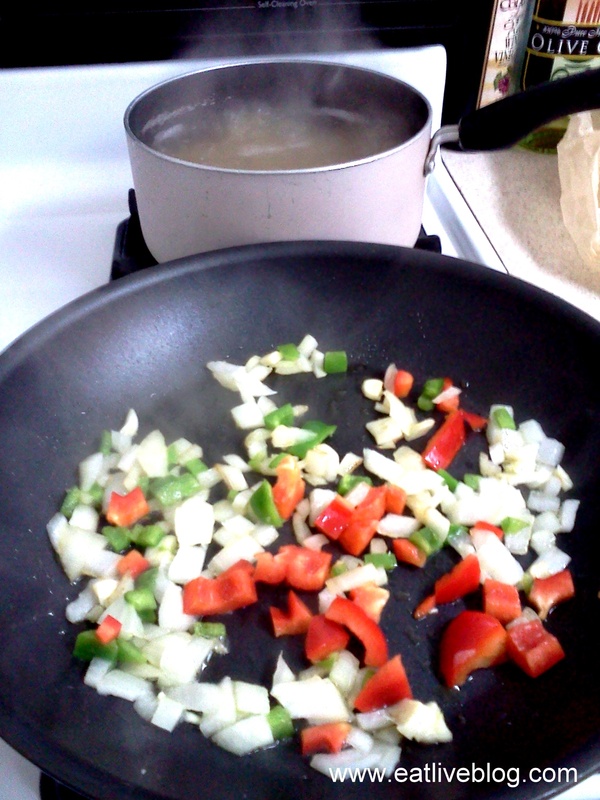 Place about 2 tbsp of olive oil in a large saute pan. When pan is hot, add the onions. I’m with you on the quality factor. Cheese is never worth skimping on! I totally agree about using good cheese. Good quality ingredients make the world of difference. Thx for sharing this at Saturday Swap. 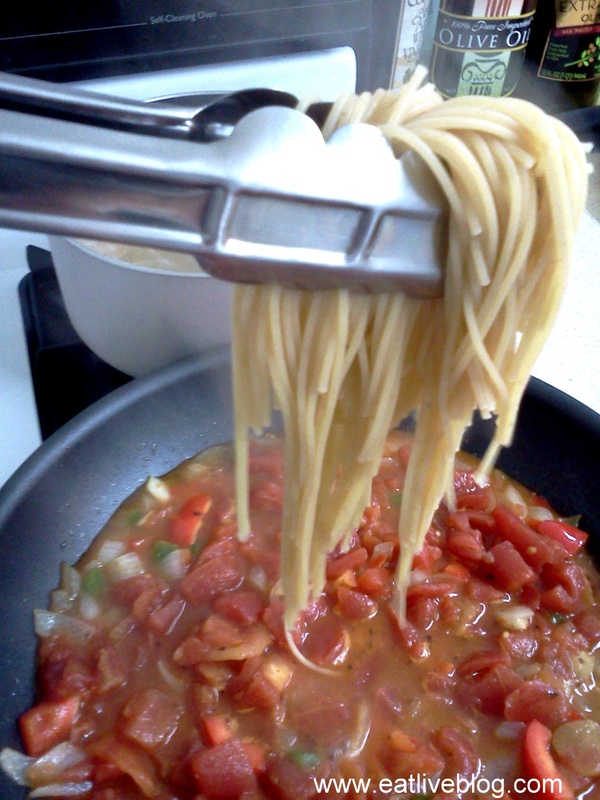 I love pasta and trying it in new ways. Have a great weekend. 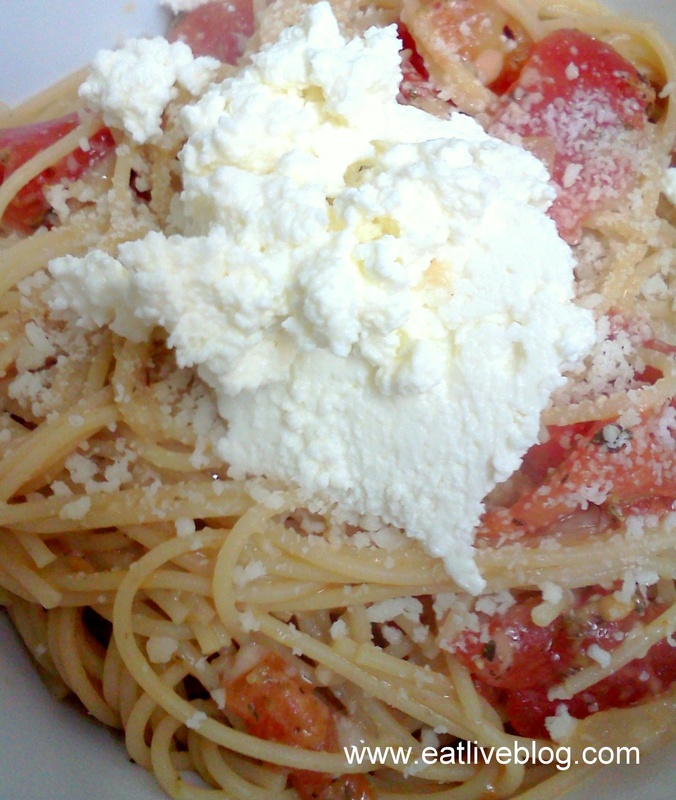 I heart Russo’s and I LOVE ricotta. It’s probably one of my most favorite additions to pasta. Definitely need to make this soon.